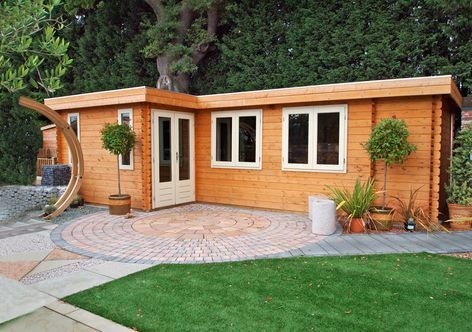 The Lugarde Bordeaux is a two roomed "L" shaped log cabin, perfect for a corner of your garden. The smaller room is ideal for storage or maybe a toilet and the larger L shaped room has double doors and plenty of windows. 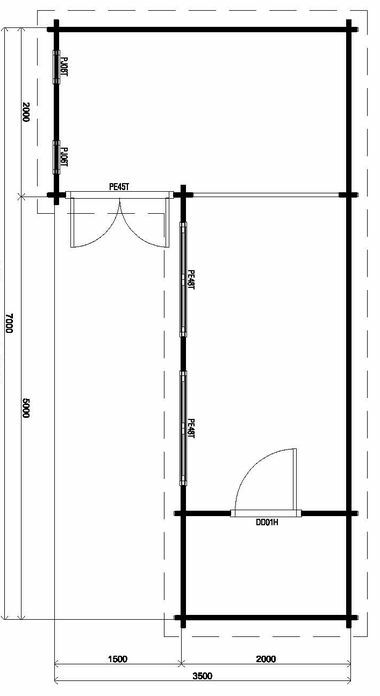 Size approximately 7.0m x 3.5m in 44mm or 68mm log thickness. The standard package includes 1 double door PE45H, 1 solid door DD01H, 2 double tilt & turn windows PE48 and 2 windows PJ06. Doors and windows are fitted with double glazing. Includes an internal wall approx. 2m.